Thinking or creating outside the box! Thinking or ‘creating outside the box’ allows Fadzai to challenge convention, breaking stereo cast roles, culture shock and emigration strongholds. Her desire to see more diverse art has motivated other artists from abroad to forge links and collaborations within the Scottish community, hence sharing their passion for art and fostering informed relationships with others of a similar mind-set. 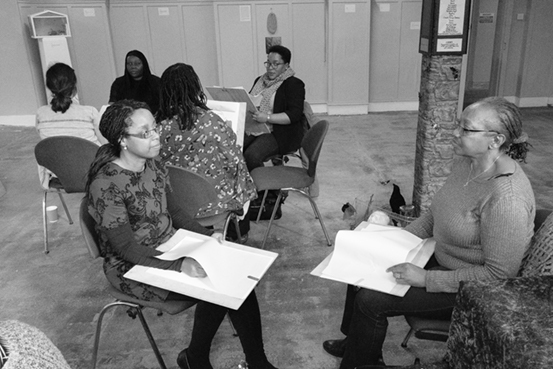 Fadzai’s calm multicultural art activities promote wellbeing and are a rare opportunity to engage with the wider audience whilst interacting with the World of art. Bespoke Art Workshops – Custom built art workshops suitable for individuals, work teams, children’s parties, residential homes, after school clubs, holiday clubs, schools, community organisations, charities and all sorts of parties! Art Classes – Fadzai also operates as a mobile art tutor and works with any age group or levels of learning ability. Have an Idea or a project ? Let's Collaborate!